Bluewebspark Technologies is a global full-cycle software development company with niche expertise and a focus on the latest technologies. Since 2012, we have been helping companies achieve their goals with impactful, industry-specific software solutions. We are proud to earn the trust of world-class brands and Fortune 500 companies. Happy Service is leading & fastest growing on demand home service provider and offers various types of Repair, Maintenance and Renovation services at your home book now. BlueCRM helps businesses meet overall customer relationship management goals. BlueCRM Provide you system to manage Project, Clients and Freelancer or your team. LEOCRM is a combination of business strategy, software system and processes that help build long-lasting relationships between a company and a customer. We offers unlimited classified ad posting which include ads on real estate, jobs, matrimony & lots more. Top & High Quality List that can provide you results in search engine. Volve allows you to compare prices with various personal trainers in your area, read reviews and book a personal trainer online and left feedback. EventHub provides all of the online registration and ticketing booing system. Event Planner can create own events and mange it. ARE YOU LOOKING FOR CUSINO FUN GAME ???? Tackle Big Data and improve your operations with FinTech solutions. DISCOVER THE NEW WAY OF EXERCISING Choose from our extensive list of 50+ premium studios or 70+ personal trainers in Singapore to create your own perfect workout regime! A&B Environmental Services, Inc. dba A&B Labs is a premier full service environmental testing laboratory located in Houston, Texas, with regional offices in Harlingen and Port Neches. Since 1988, A&B has provided exceptional quality environmental testing services to our clients from diverse industries including: chemical manufacturing, consulting engineering firms, energy, pulp and paper, food manufacturing, petroleum refining, local, state, and federal agencies, among many more. Bhanwarilal Mithaiwala is well known for its hand-crafted delicious Sweets & Namkeen since 1945. Our late great grandfather Shri Bhanwarlilalji, founder of our group established a small shop at Mhow (Military Headquarter Of War) Cantonment to serve the army personnel coming from all parts of our country and away from their family. Today Bhanwarilal Mithaiwala is a premier brand for delicious Sweets And Namkeen in central India (Indore- Mhow) with multiple outlets. 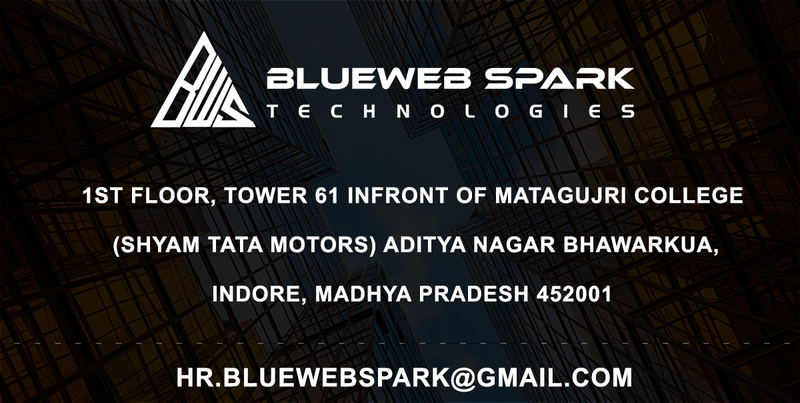 Bluewebspark Technologies operates in multiple offices and development centers across the globe. Reach out to us for software development services in your region.